Many people try to lose fat only to become frustrated when their efforts are not working. Dr. Sears has three fat loss tips to help you lose and keep off unhealthy fat and explains why fat is so hard to lose. Why is losing extra fat when dieting so hard? The body naturally fights fat loss. Once upon a time, people had to hunt, fish, and forage for food. Our species developed in an age of feast or famine. The hungry human body adapted to this erratic food supply by developing the ability to store body fat for fuel during times of famine. Today, there’s a food store on every American corner, and more people in the United States have to deal with food excess, not shortage. Yet we’re still armed with our fat-storing survival genes. The body doesn’t give up years of genetic programming easily, which is why crash diets don’t work. The body perceives any sudden drastic changes in food consumption (such as crash dieting) as life-threatening. It automatically, and protectively, resets its resting metabolic rate to burn fewer calories and hold onto its stored fat. These fat loss tips will trick the body and avoid the fat saving response. By slowly decreasing the number of food calories you consume, your body doesn’t perceive that you’re really eating less. It’s as if the mind doesn’t let the body know it’s on a diet. The mind sneaks in a new way of eating without alarming the body into resetting its fat-storage gauge. Lean foods are lower-calorie foods that are filling without being fattening. Because the body doesn’t get hungry, it doesn’t fight this new way of eating. Lean foods include fruits and vegetables like apples, berries, leafy greens and avocados, lean meats and whole grains. 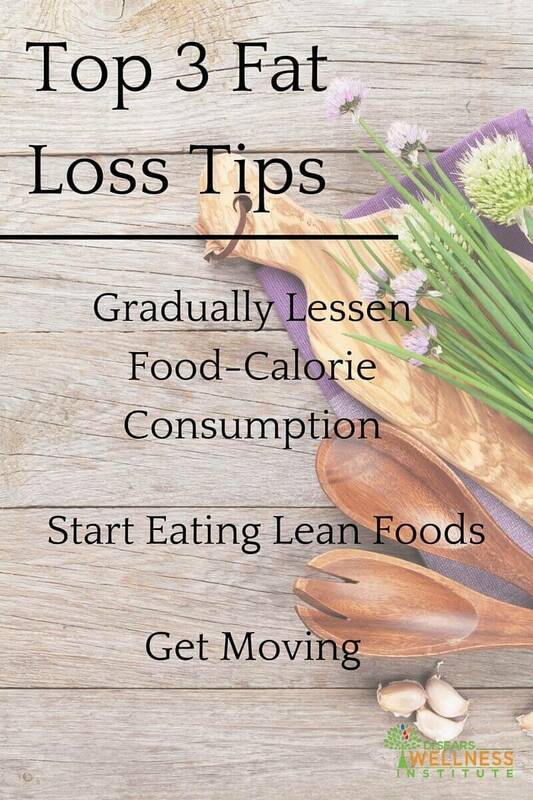 Adding exercise to your new eating habits is the most effective way to lose weight. If you maintain the same level of food consumption, but burn more calories, your body won’t click into starvation mode and you’ll see the pounds melt away. Here are some other facts about fat and how to lose it.